The words used to describe the PADI Rescue Diver course most often are “challenging” and “rewarding”. 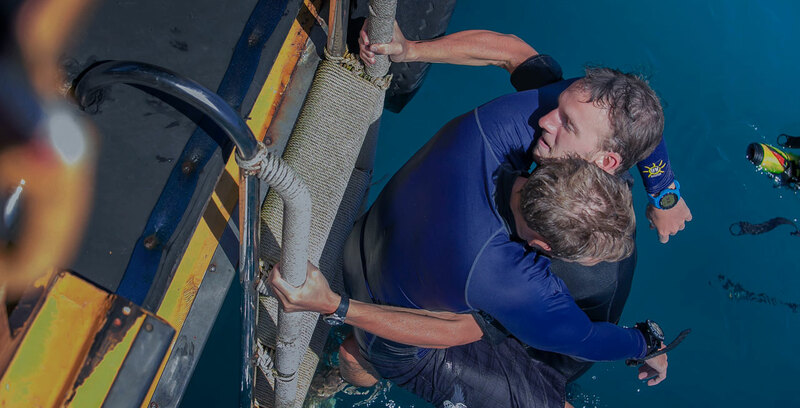 You’ll first learn self-rescue techniques in order for you to build the confidence that you can handle an emergency situation without putting yourself at risk. Phase two of the Rescue diver course is to learn how to recognize and manage stress in other divers, emergency management, how to rescue panicked and unresponsive divers; both on the surface and underwater, emergency oxygen use and more. The Rescue diver course is a most challenging and very rewarding experience, which provides a huge confidence boost to your diving abilities. If you do not have a recent (24 months) first aid and CPR certificate, the EFR course must be taken as part of the certification as part of your Rescue diver coures. If you require the EFR course, it will be scheduled for the first day. Your instructor will discuss different rescue scenarios in a classroom setting with real world examples. In confined water you learn the different rescue scenarios with a focus on process and situation management. A review of the shallow water skills training and solidifying of Rescue diver knowledge. On the dive boat you learn how to manage realistic, simulated rescue scenarios which will increase in intensity. Urgency and managing stress is part of the training. You will sit a written exam during your Rescue diver course. The instructor will test your rescue abilities in a more realistic simulation, both increasing stress and intensity of the drills. Very fun! Have a current First Aid & CPR certification within the previous two years. 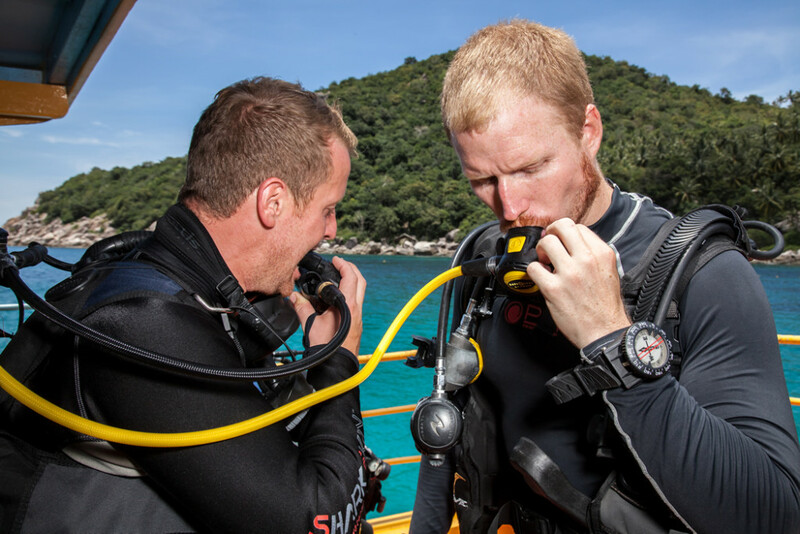 Online learning can be completed for the PADI rescue diver course. 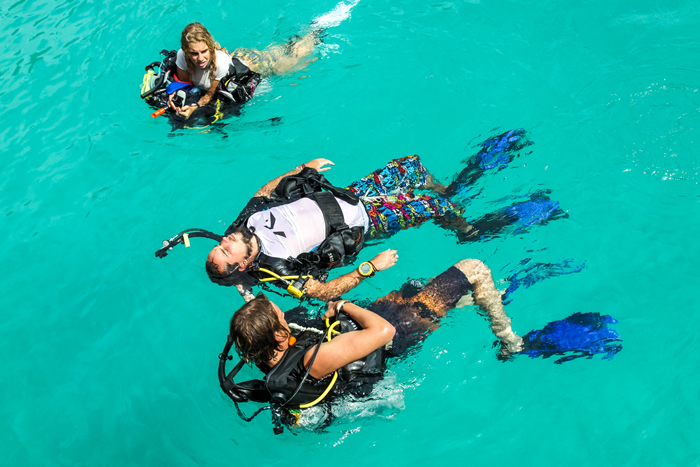 An important part of the Rescue diver course is to know how to perform current industry standard CPR and first aid techniques. The Emergency First Response (EFR) primary care course teaches you how to respond to life threatening emergencies. Knowledge and skill development combined with scenario practice will give you the confidence to provide the correct care should an emergency arise. Topics covered in this course include safety assessments and barrier use, rescue breathing, CPR, obstructed airway management, serious bleeding management, shock management and spinal injury management. The EFR secondary care section, is usually combined with the primary care. It covers injuries and illnesses that are not immediately life threatening. Skills taught include injury assessment, illness assessment, bandaging and splinting for dislocations and fractures.